How to make the BEST Garlic Bread! 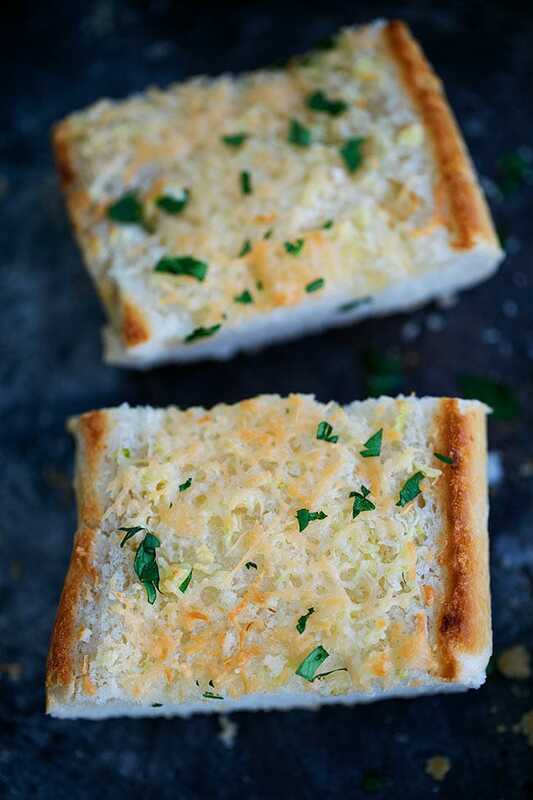 Homemade Garlic Bread is easy to make and a great side dish to almost any meal. Garlic bread is pretty simple. 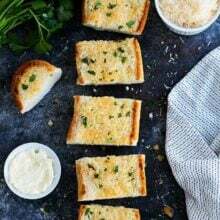 It is bread, topped with butter, garlic, salt, a little parsley, and Parmesan cheese (if you want to go that route) and then baked in the oven until toasted around the edges and soft and buttery in the inside. 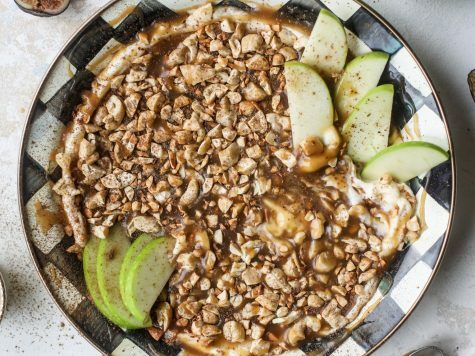 Super simple but SO SO SO good. Homemade garlic bread is the BEST! Forget frozen or pre-made garlic bread you can buy at the store. Making garlic from scratch is SO easy and SO much better. And who doesn’t love garlic bread? 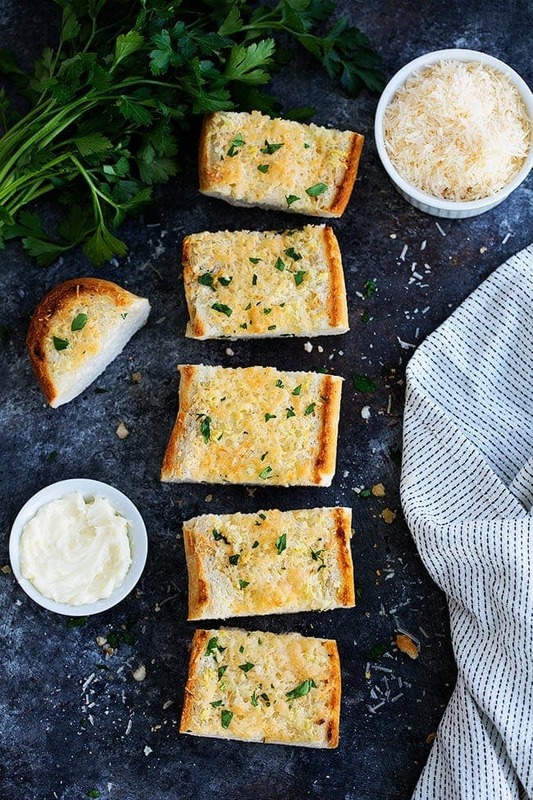 Garlic bread makes just about any meal better. It is a favorite at our house! Every time I pull garlic bread out of the oven, my boys cheer! They love it and so do I, bring on the carbs. 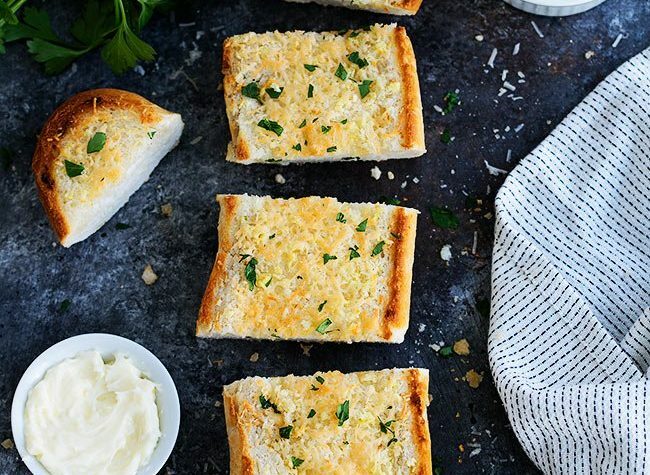 You only need a few ingredients to make garlic bread. Bread-Make sure you choose the right bread. We use a large (1 pound) loaf of French or Italian bread. I don’t like to use a skinny baguette for garlic bread because it is too chewy. You want to use a softer loaf for garlic bread. Butter-I use unsalted butter because I add a little kosher salt to the butter garlic mixture. 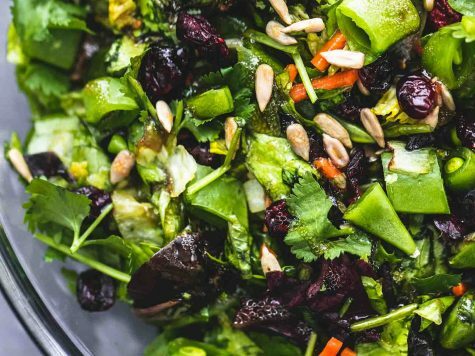 Salt brings out the flavors so don’t skip the salt. If you want to use salted butter, you don’t have to add salt or you can add less. Make sure you use SOFT butter. If you use cold butter, it will tear the bread. Garlic-Use fresh garlic cloves, not garlic powder. It is garlic bread so it is important to use fresh garlic:) Peel the garlic cloves and use a sharp knife to mince into tiny pieces. 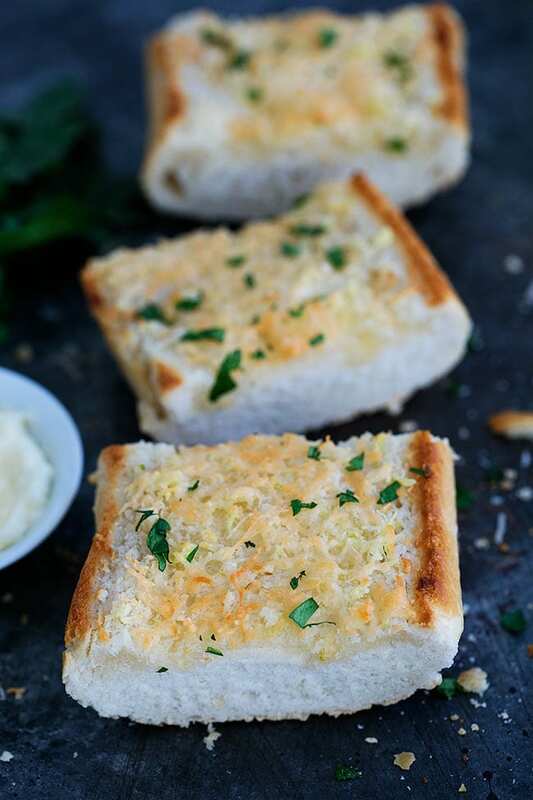 Parmesan Cheese-Parmesan cheese makes the garlic bread extra delicious, trust me! Parsley-I like to add a little parsley to garnish the garlic bread. It adds a nice pop of color. If you want to mix parsley in with the butter, garlic, and salt, you can, I just prefer it as a garnish because I don’t like a strong parsley flavor. Long story, but when I was pregnant with Caleb parsley was a big NO for me and I still struggle with it sometimes..ha! I would rather have it as a garnish. 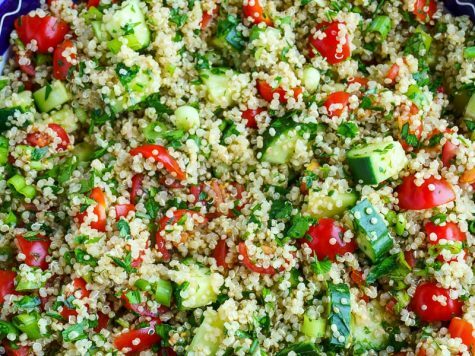 You can also use other herbs, oregano, chives, basil, and Italian seasoning are all good options. First, cut the bread in half horizontally. If you are worried about not cutting the bread evenly, you can ask the bakery to cut the bread for you. Most bakeries, including grocery store bakeries, are happy to cut the bread for you. In a small bowl, combine the softened butter, minced garlic, and pinch of salt. Stir until well combined. Spread the garlic butter mixture evenly over the two bread halves. 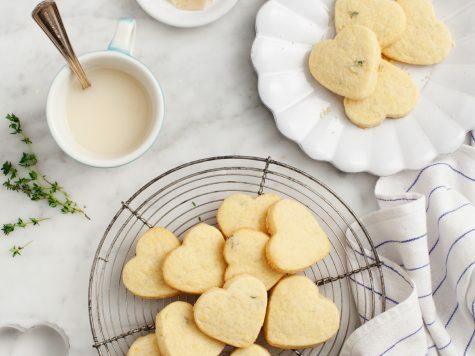 Place the bread halves on a large baking sheet and bake for 10 minutes or until slightly golden brown on the edges. Remove the bread from the oven at 10 minutes and sprinkle the bread halves evenly with Parmesan cheese. Turn the oven to broil and place the bread back in the oven. Broil for 2 to 3 minutes until the edges of the bread begin to toast and the cheese is melted. Don’t walk away, watch the bread very carefully because it will toast quickly. You don’t want to burn the bread. 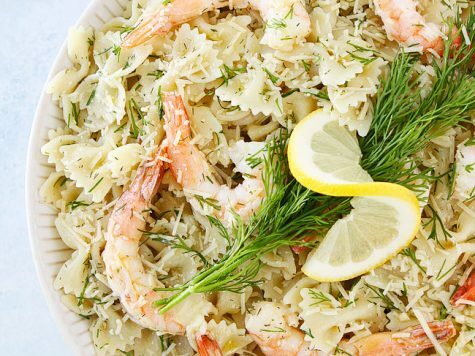 Remove from the oven and garnish with fresh parsley. Cut into thick slices and serve warm. Note-if you want to make soft garlic bread, you can butter both halves of bread and put them back together, buttered sides touching. Wrap loaf completely in foil and bake for 15 minutes or until the butter is melted and bread is soft. Remove from the oven and cut into slices. I don’t use Parmesan cheese when I make super soft garlic bread. What Do You Eat With Garlic Bread? Can Garlic Bread Be Reheated? Place a basket of fresh garlic bread on the dinner table and I guarantee it won’t last long, but if you do have leftover garlic bread, don’t throw it out, you can reheat garlic bread. Of course, fresh garlic bread is best, but if you need to reheat it, you can. Wrap the garlic bread in foil and put it in a 350 degrees Fahrenheit oven for 10 to 15 minutes until heated through. Remove from the foil and enjoy. Don’t reheat garlic bread in the microwave. 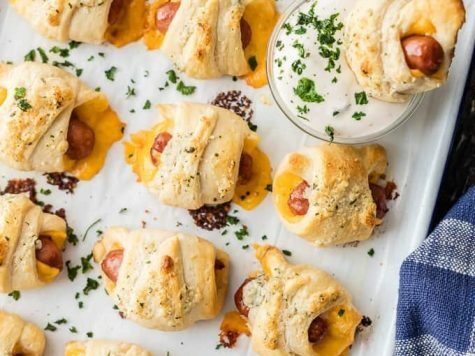 It will get chewy and hard as it cools. The oven is the way to go! Preheat the oven to 400 degrees Fahrenheit. Cut the bread in half horizontally. With a butter knife, spread the garlic butter mixture evenly over the two bread halves. For Soft Garlic Bread: you can butter both halves of bread and put them back together, buttered sides touching. Wrap loaf completely in foil and bake for 15 minutes or until the butter is melted and bread is soft. Remove from the oven and cut into slices. I don’t use Parmesan cheese when I make super soft garlic bread.